I really love the range of cross stitch kits which Bothy Threads have produced from Kim Anderson’s beautiful and quirky designs. Last year I saw the Love Tree kit in a local craft shop and I just had to have it. I knew it would be perfect made into a cushion to sit on the chair in my bedroom. When this was finished I saw that there were more designs added to the collection. There were four more trees, one for each season and once again I was determined to have them. For Christmas 2015 I ended up with the Winter and Spring Trees followed by the Summer and Autumn ones for my birthday. Although the metallic silver thread was a nightmare to work with, the rest of each design was a pleasure to do. The designs came together really quickly and the additional embellishments added at the end gave them a special touch. When my brother and sister in law announced that they were having a baby and I was going to become an auntie, I was over the moon! A new baby in the family or among my friends is always a great excuse for me to get creative. I knew that there was a Love Baby Tree sampler design but I had to wait until Christmas Day 2016 for my brother and sister in law to announce whether they were having a boy or a girl! They were having a girl so off I sent for the Love Baby Girl sampler. I couldn’t wait to get started but I was also knitting their baby girl a blanket and a cardigan too. 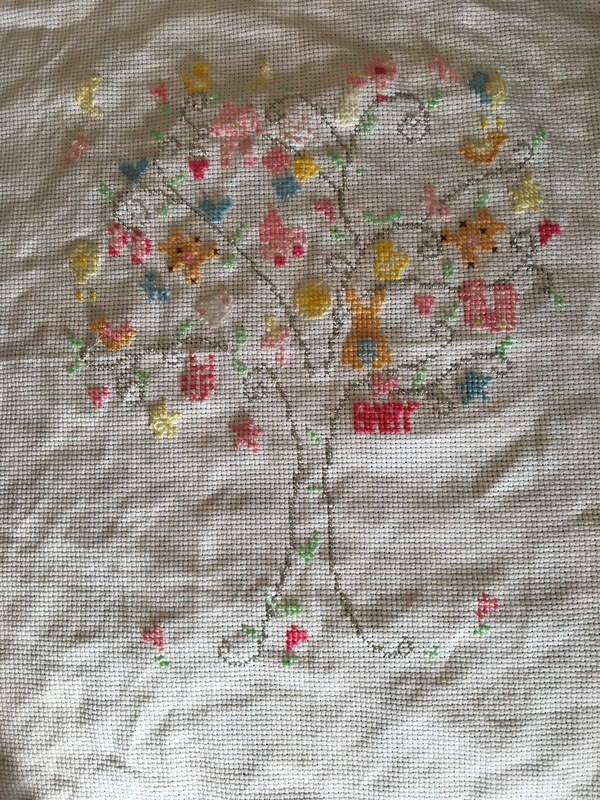 The very first motif of the Love Baby Girl Tree- a pink dummy! The Love Tree samplers always feature a tree trunk and branches stitched in metallic silver thread. The rest of the design is made up of individual baby themed motifs. It was a pleasure to stitch the sampler and I took it everywhere with me. I even stitched it while waiting for my car to be fixed in the showroom. I ended up chatting to another lady who said how much she liked cross stitch too! I love the gorgeous colour pallette on the Love Tree designs. Here I have started to add the metallic silver thread. The air was blue in my house when I was doing this as the thread kept snapping on me! Beginning to add the details at the bottom of the tree. 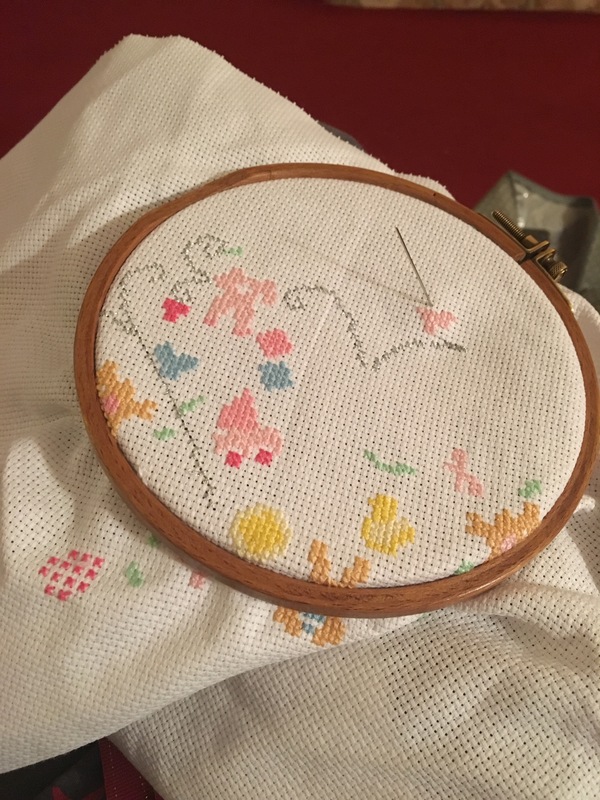 It’s always exciting when you begin to add the backstitch to a design. This is when the design begins to come to life for me! The finished design. I was half way through the back stitch when my niece was born. 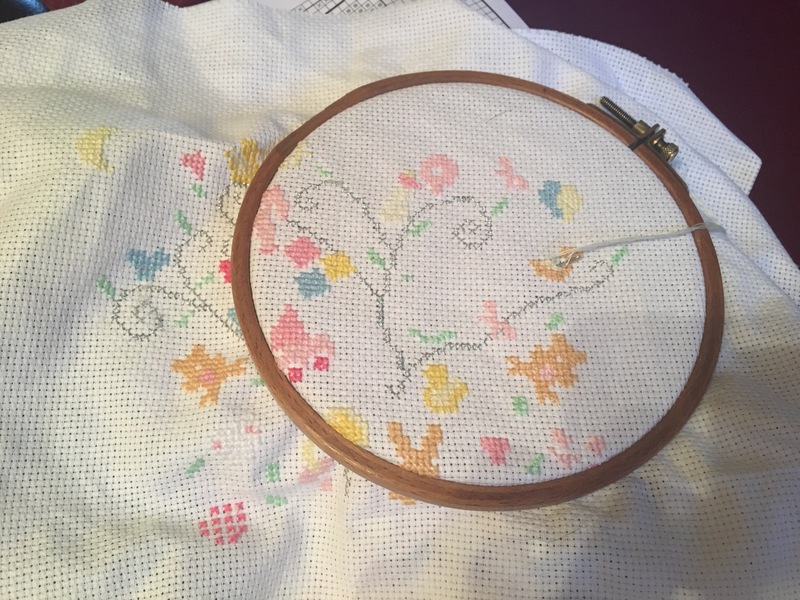 So I rushed to get the sampler finished with all her details on it. 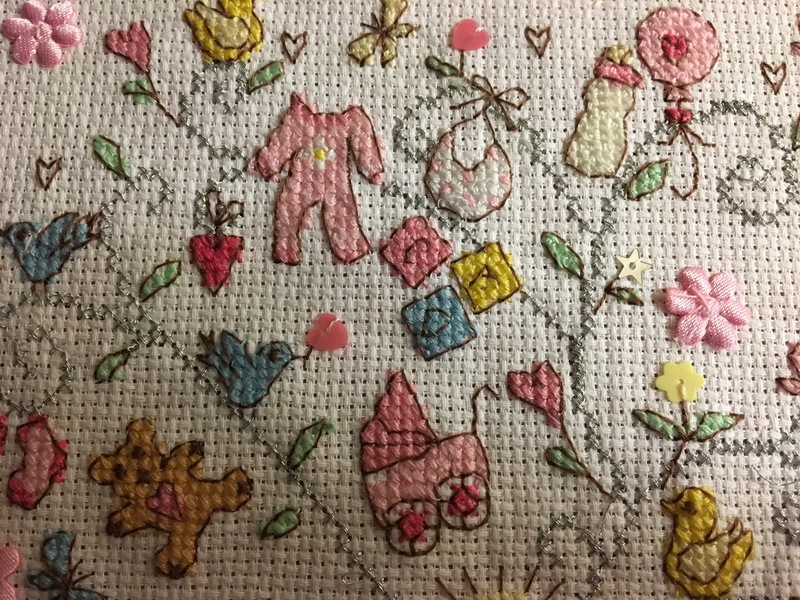 A close up of all the details on the Love Baby Girl sampler. My brother and sister in law live in Canada so I had to send the sampler to them in the post. I told them it could either be framed as a picture or made into a cushion and I would sort it out for them when I see them in September. They were really impressed by it. Now all I need is a good excuse to stitch the boy version of the sampler! Previous Post White Chocolate and Pistachio Blondies. Next Post Pecan and Maple Bundt Cake- Nigella’s Kitchen. I’m in love with this pattern and I really I to make it for my baby cousin but I can’t afford the $35 for the chart all I’m trying to stitch it by simply using a screen shot of the picture from pinterest. It’s pretty hard cause the pic is not clear when you blow it up so we will see how it goes.